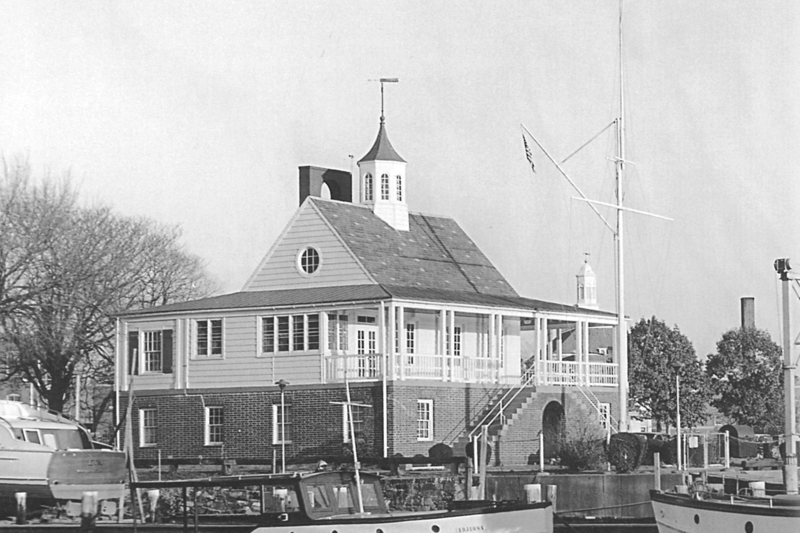 Founded in 1892, the Capital Yacht Club (CYC) is a private social and yacht club based in Washington, DC. 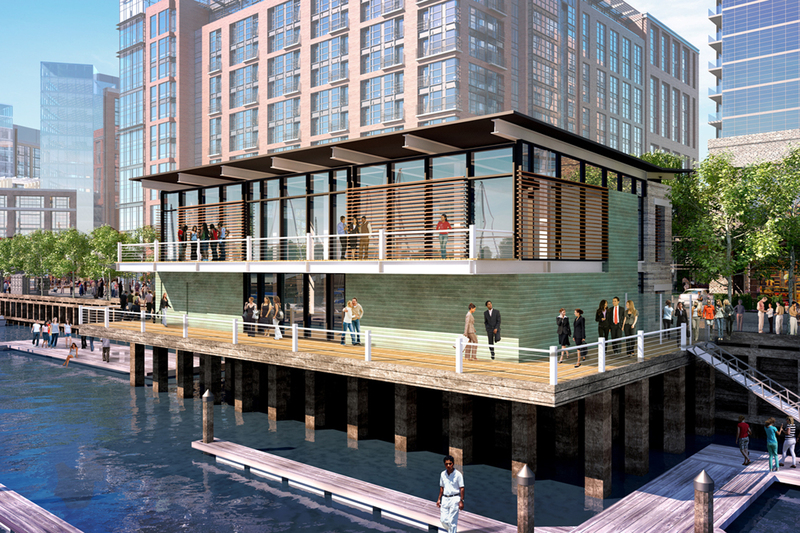 Part of the Southwest Waterfront redevelopment project located on the Washington Channel of the Potomac River being developed by Hoffman-Madison Marquette, the new building, is a 7,500 sq ft club house positioned at the water’s edge on a pier along the new wharf pedestrian promenade. 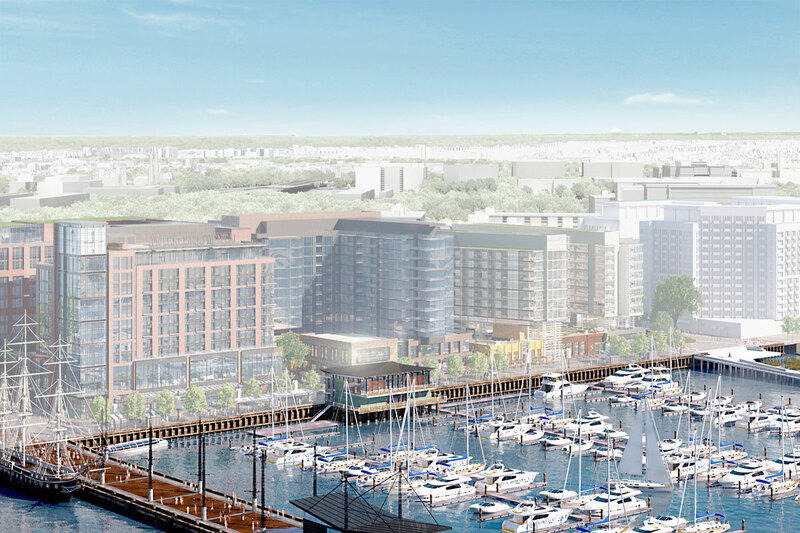 Slightly protected from the Yacht Club Plaza to the north which faces entries to a hotel, restaurants and a multifamily residential building, the building opens to embrace the southern water views and the CYC marina. 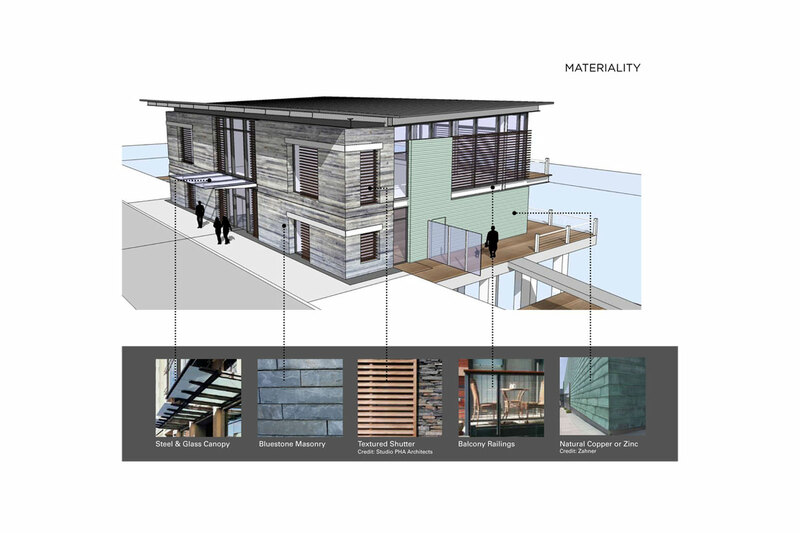 Experienced on all facades, the design employs the more solid materials of layered honed stone, similar to the Thermal Baths in Vals, Switzerland, while allowing direct views through the building to the water from the plaza and along the west side on the Avenue Mews axis. 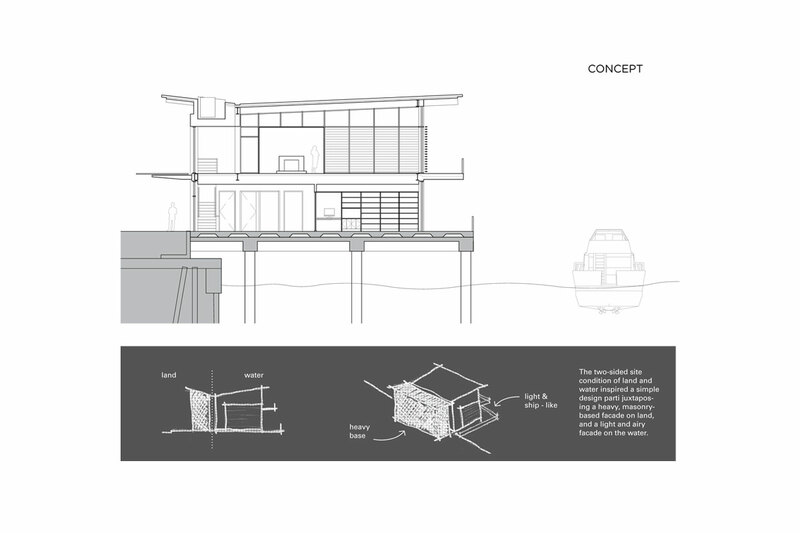 On the water side, the building is wrapped in pre-patinated copper (a material commonly found sheathing British ship’s hulls in the 1800’s) and large areas of glass shielded by horizontal sun screens. 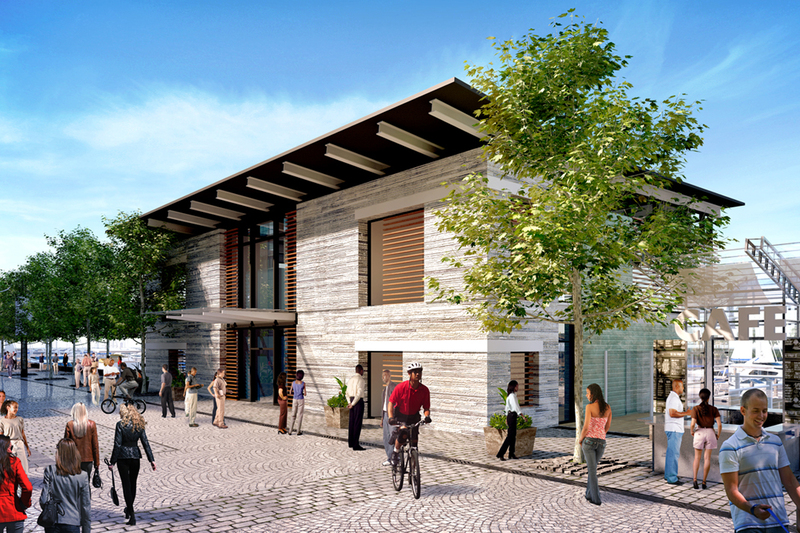 The major gathering spaces open out onto the pier and a second level terrace allowing a direct connection to the marina. 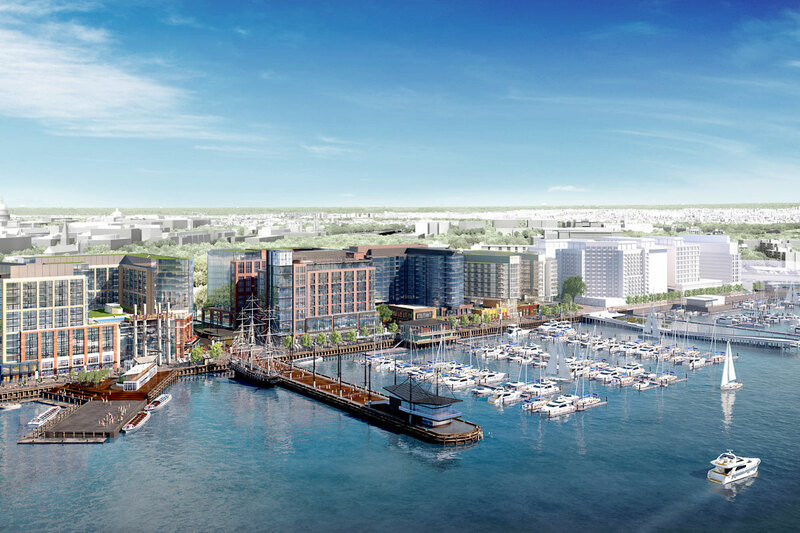 As part of a major District of Columbia project, the Capital Yacht Club required and received both Federal and City approvals. Federal agencies included the Commission of Fine Arts, the National Capital Planning Commission and the Corp of Engineers. 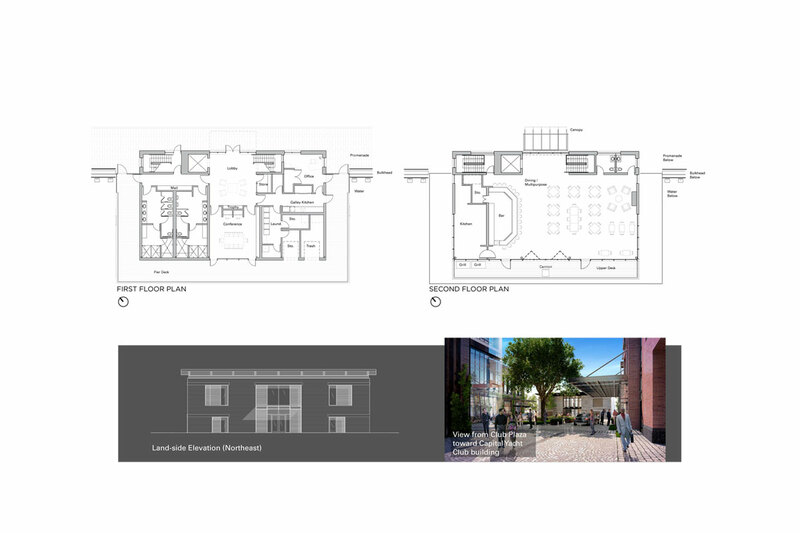 District agencies included the Office of Planning and the Zoning Commission. As part of our consultant team, Moffatt Nichol is the Marine Engineer on the pier, wharf and marina portions of the project.